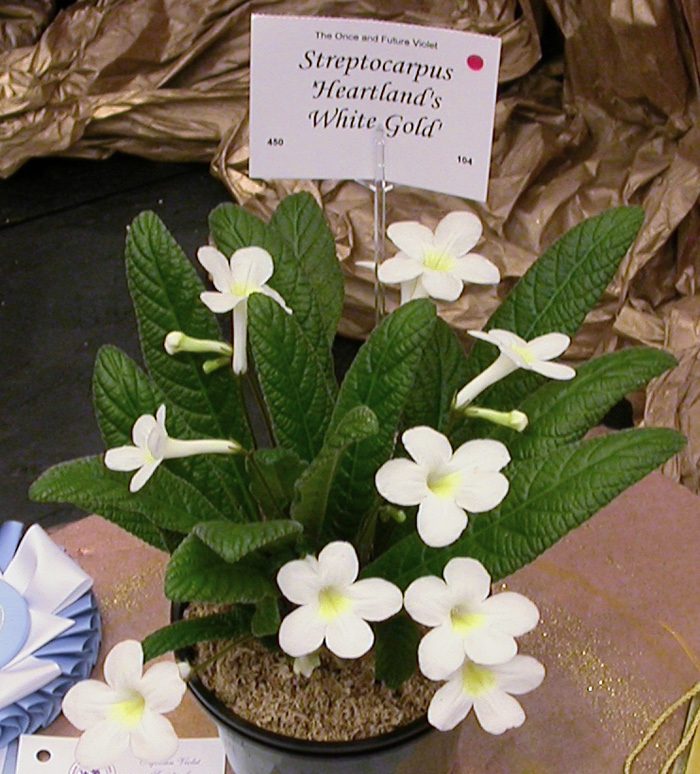 Streptocarpus ‘Heartland’s White Gold’, 2011, IR111162, Dale Martens, IL. (S. ‘Fernwood’s Minuet’ x S. Lemon Curd’). Cross made Jan. 2008, planted Mar. 2008 and first flowered Aug. 2008. Fertile but reproducible only vegetatively. Compact rosette. Leaves bullate, green, 164 mm. long x 57 mm wide with 13 mm petiole, linear with crenate margin, acute tip and cuneate base. Calyx split, green with red hairs and red tip. Peduncle 98.4 mm long with 2-3 flowers. Corolla salverform, 44 mm long x 38 mm wide, white with yellow throat. 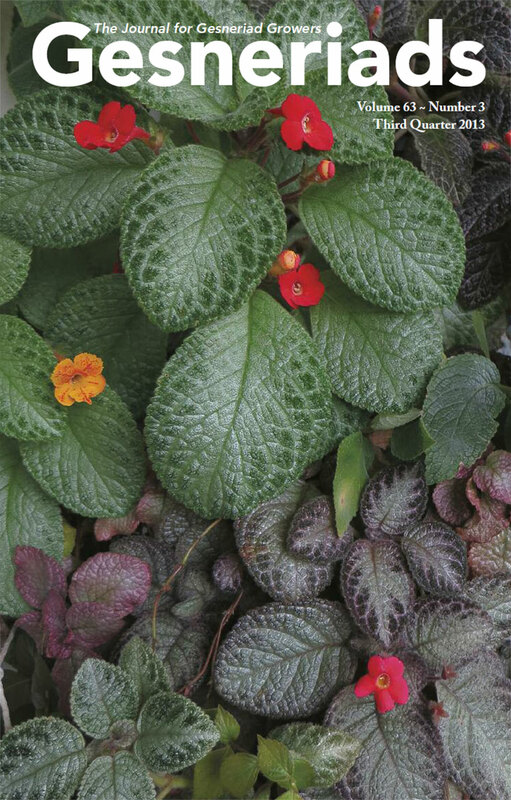 Best Other Gesneriad Commercial, 2010 AVSA Convention.